BROWNSBURG, Ind. 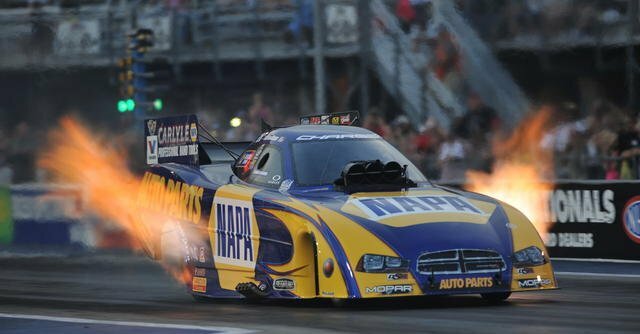 (June 17, 2014) – Ron Capps and the NAPA AUTO PARTS Dodge Charger R/T Funny Car team head to Epping, N.H., for the second event of the most grueling stretch of the regular season. 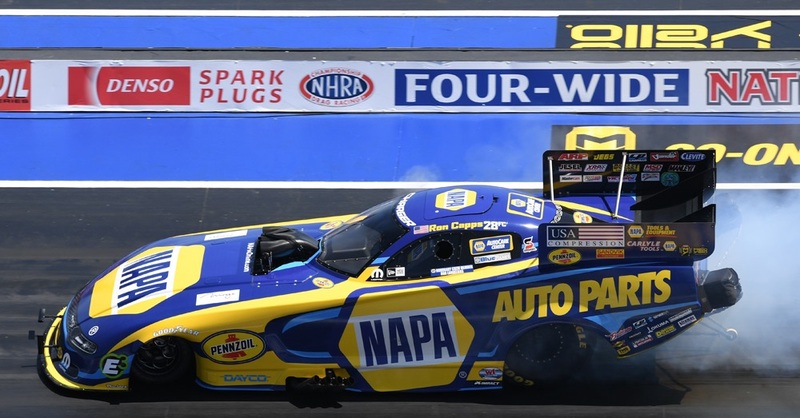 The second annual NHRA New England Nationals begins Friday and the NAPA team knows the next three races over three weeks are critical to how it enters the six-race Countdown to the Championship. 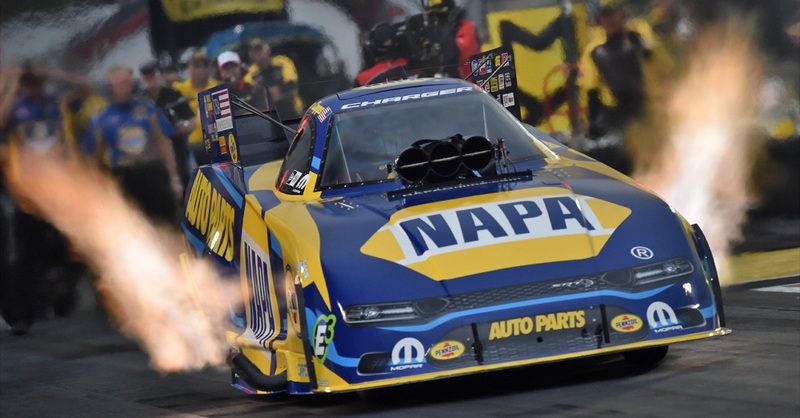 Last weekend marked the 10th event of the 24-race season but the Rahn Tobler-led team that qualified an impressive third at Bristol Dragway was foiled by a tricky, hot racetrack on Sunday that helped sideline the NAPA Dodge in the first round of eliminations. 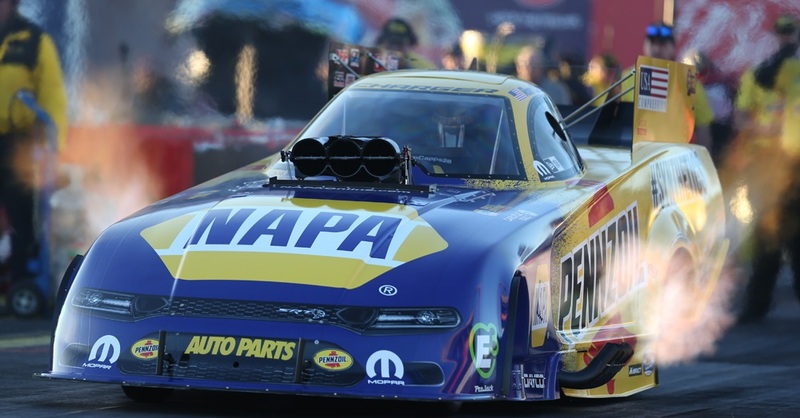 “It was disappointing and this season it seems like something always comes up that keeps us from going deep into eliminations on Sundays,” said Ron, who owns 41 NHRA Wally trophies. Sunday’s opening-round loss made it 17 straight Mello Yello Drag Racing Series events that ended without Ron pulling into a winner’s circle. His fourth loss in the opening round this season contributed to him dropping two spots to seventh in the season standings. 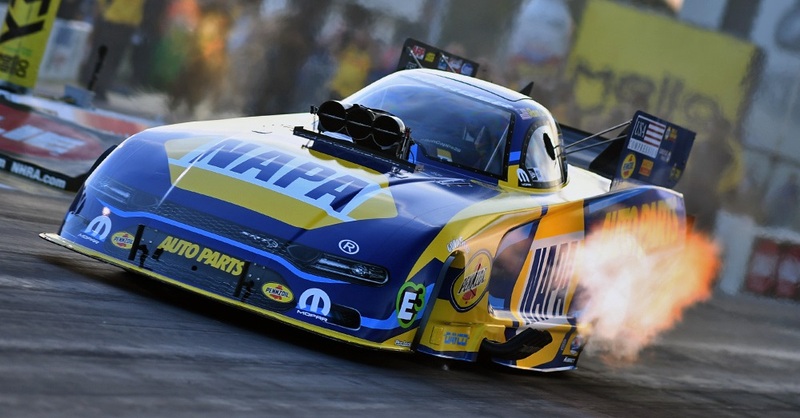 The highlight of the Bristol weekend for Ron was seeing John Collins, the former assistant crew chief for the NAPA team, win the Funny Car title with Don Schumacher Racing’s Make-A-Wish team. A year ago at Epping, Ron qualified fourth and advanced to the semifinals. “I know the track will be good and it will be a lot cooler than it was at Bristol,” he said of a New England forecast for highs in the mid-70s compared to temperatures more than 10 degrees higher last weekend.